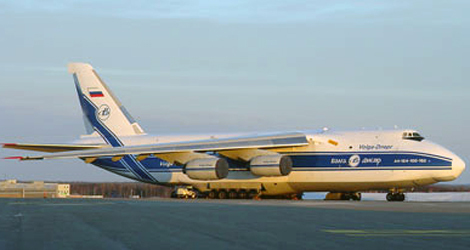 On 31 March 2007, a Volga-Dnepr Airlines Antonov AN 124-100 (registration RA-82078, serial number 38718017006) was being operated as VDA 2100 on a flight from Greer, South Carolina, United States, to Gander, Newfoundland and Labrador. On arrival in Gander, the crew completed an approach to Runway 03/21. The aircraft touched down at 0216 Newfoundland daylight time but was unable to stop before reaching the end of the runway. It departed the left side of Runway 03/21 near the departure end and came to rest approximately 480 feet off the runway surface, facing the opposite direction. Several edge lights along the runway were broken. The nine crew members and ten passengers on board the aircraft exited without injury. Aircraft damage was limited to cuts in the aircraft tires. During the latter part of the landing rollout, it became apparent that the aircraft would not stop on the runway. The aircraft was intentionally steered toward the left side of the runway to avoid colliding with ILS equipment located off the departure end of the runway. The aircraft departed the left edge of Runway 03/21, near the runway end at about 35 knots. The aircraft rotated to the left and came to rest approximately 480 feet from the runway end with the aircraft oriented nearly opposite to the direction of landing. The crew conducted an emergency shutdown during which they assessed that an immediate evacuation was not necessary. The aircraft touched down approximately 2400 feet past the normal touchdown point; this greatly reduced the available stopping distance. 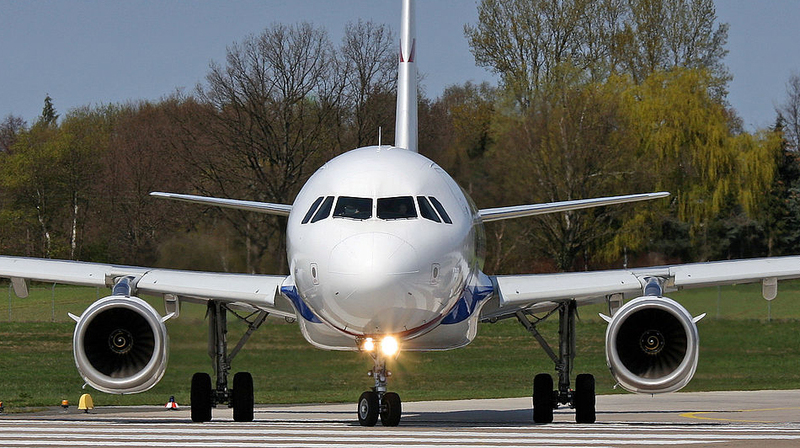 The contaminated runway surface condition increased the distance required to stop the Volga-Dnepr Airlines RA-82078. 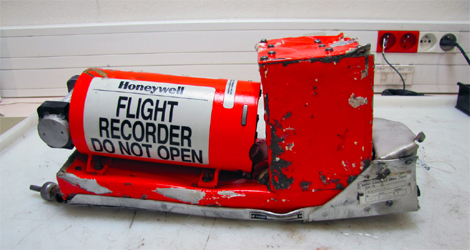 The delay in the application of wheel brakes combined with the failure to maintain maximum available reverse thrust until it was ensured that the aircraft would stop on the remaining runway contributed to the overrun.